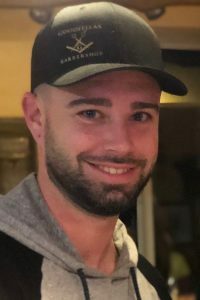 Dean Michael Dennis, 29 years old, of Nahant died on Friday, January 11, 2019 after a long, courageous battle with addiction. Dean is survived by his beloved fiancé, Amanda B. Langan and his beautiful children, Tyler James and Emma Madeline Dennis. He was the cherished son of Leila Tanen and James Dennis, along with their spouses, Michael Curley and Brenda Supino; loving brother to Patrick and Anna Dennis, all of Swampscott. Dean is also survived by his grandparents, Michael and Madeline Tanen of Nahant and William and Jean Dennis of Swampscott, as well as many aunts, uncles and cousins. Dean was a barber at Over the Top Barbershop in Wakefield and Goodfella’s in Westbrook, ME. He graduated from Swampscott High School in 2008 and N.E. Hair Academy in Malden in 2012.